August is here, and school supplies are in the stores! It is time to put “Back to School” on your calendar! The first day of school is August 23. There will be early dismissal at 2:20 pm. Keep reading for more important information to help get you ready for the new year. You can also pay student fees, deposit lunch money, or visit the clinic. Learn about opportunities to get involved and volunteer with the PTO! 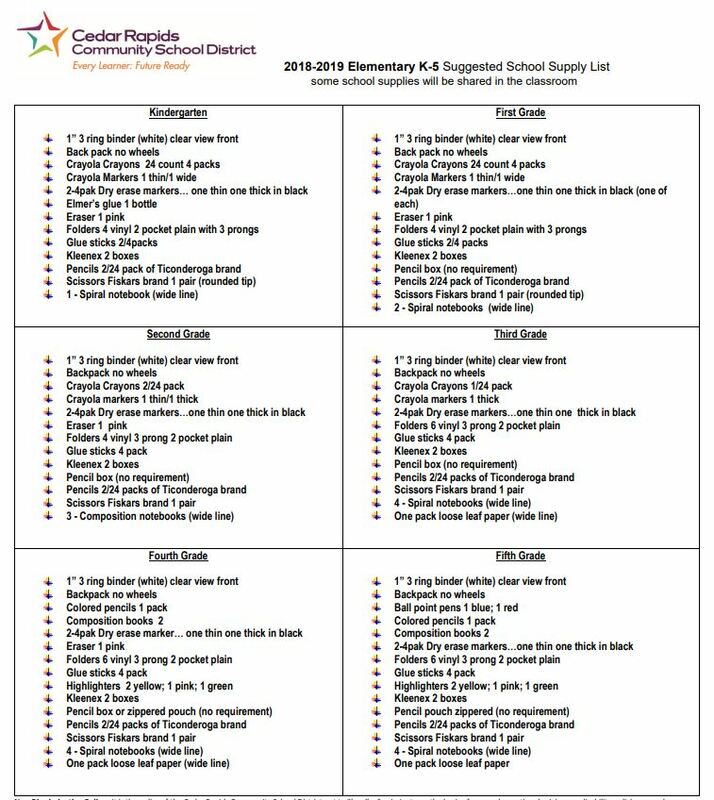 Speaking of school supplies, the 2018-10 supply list can be found here. Please register EACH of your children in Powerschool for the 2018-19 school year. Your username and password are the same as last year. Call the school for assistance at 319-558-2172. All PTO meetings are 6:30-7:30 pm in the school IMC/Library. All are welcome to come and listen and/or participate! 1st Friday of the Month – FREE Movie!